Our Mission statement: We are passionate about the relationship between horse and rider and work to deliver on a commitment of excellence in veterinary care and communication through a dedicated infrastructure and team focused solely on horses and livestock. Alpine equine hospital is dedicated to the well being of our patients throughout their lives. We strive as a team to provide the best and most complete and up-to-date medical and surgical care for our patients. We strive to do this while providing a staff friendly work environment which encourages professional development. Our goal is superior service. Every time. Your feedback is very important to us. Prompt, competent, reliable 365/24/7 Emergency Service is essential to the health and welfare of horses and the peace of mind of every owner. It is the most value-added service we provide. It consists of emergency coverage and emergency care. Our day to day operations prioritize emergency care and we ask for your patience if we have an unexpected emergency delaying our arrival to your appointment. we will always strive to communicate with you as to our expected arrival. Emergency care is preceded by and wouldn't exist without emergency coverage. Emergency coverage has always meant 24 hours a day, 365 days a year. Our doctors are often available via phone when not on call for information. Our office phone 379-7100 option 1 always allows you to immediately reach the veterinarian on call. 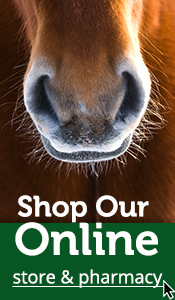 We cooperate with other equine local veterinarians to provide this coverage 24/7/365. This is a great cooperative of local equine veterinarians ensuring your horse will get the emergency care it needs and be triaged back to your primary care provider on the following business day.